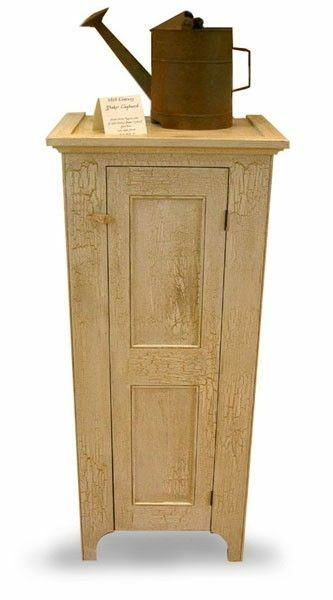 Shaker Jelly Cupboard in Pine with Distressed or Crackle Finish. Interior is stained. Each piece is hand made so no two items are identical. Available in six painted distressed colors or client can choose their own variations.